The Bollywood industry is known to churn out a large number of films each year. The glitz and glamor in the Indian film industry is loved globally. While many actors from the Hindi film industry have tried to establish firm footing in Hollywood, only few have succeeded. This article is a showcase of Bollywood actors that made it big in Hollywood. If you type the words “Hollywood” and “Bollywood” in search boxes you find the numbers in search results significantly high. When you compare the two, you realize Bollywood and Hollywood are poles apart. You seldom find women and men dancing around trees and flashing a beaming smile in Hollywood movies. In Bollywood it happens all the time. While song-and-dance routines are reserved for musicals in Hollywood, in Hindi films the essence is song and dance. 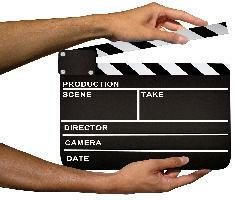 The Hindi film industry which is popularly known as Bollywood is based in Mumbai. Mumbai is a popular destination for actors from various disciplines. Individuals come with high hopes to make it big in Bollywood, and many see their hopes shattered. Like with any film industry, it’s a race to the finish line. Some of India’s finest theater actors have made Mumbai their home. Mumbai is home to many struggling actors. Bollywood is one among the largest film production centers of films in the world. The top crop in Bollywood is loved by audiences in India. We find low budget films and high budget films emerge in Bollywood. While films for various genres are made by filmmakers, it’s the comedy and romance genre that get the cash registers overflowing. Over the years many Bollywood actors have attempted to take the big leap to Hollywood, sadly only few have succeeded. It’s no easy task to set foot in new territory and make your mark. For actors that have made it big in Hollywood, it’s taken a huge effort to get the big break. In recent times Freida Pinto is perhaps the most popular Indian actress in Hollywood. This Mangalorean catholic girl was a model and TV presenter in India prior to her entry in Hollywood films. She got noticed in her first international film The Slumdog Millionaire directed by Danny Boyle. Since then it’s been a fairytale story for Freida Pinto. Aside from her acting skills, Hollywood took an instant liking to her dazzling smile which will take her a long way. Will she be at face of India in Hollywood, time will tell. Aishwarya Rai Bachchan has made hearts flutter with her expressive eyes and charming smile. She made her way into Bollywood soon after winning the Miss World Beauty Pageant in 1994. Aishwarya Rai Bachchan’s name appears in every major list of “Beautiful Women”. Her first Hollywood film was “The Last Legion” in which she shared screen space with Colin Firth and Ben Kingsley. Aishwarya Rai Bachchan has had a huge fan-following in Hollywood way before she made debut. Hollywood loves this Bollywood beauty. Let’s hope we see more of her in the days to come. Few actors leave their audiences amazed with their mannerisms and gestures; Irrfan Khan manages to enslave audiences with relative ease. This versatile actor has starred in a number of Bollywood films. Irrfan Khan leaves movie goers open-mouthed with his method acting. Irrfan Khan has the ability to bring characters to life with his dialogue delivery and death stares. His characteristic silence accompanied by his menacing gaze say a zillion things unspoken. In 2006 Irrfan Khan floored global audiences with his acting skills in “The Namesake” and “A Mighty Heart” The world had taken notice, Irrfan Khan had made his mark in Hollywood. Tabu is known for her riveting performances in Bollywood films. This versatile actress is at home with various film genres. She has won several awards for her performances in Bollywood films. Global audiences took notice of her acting talent in the movie “The Namesake” directed by Mira Niar. The movie received rave reviews with critics praising Tabu’s performance. Her short role in Ang Lee’s “Life of Pie” was well received by global audiences. A veteran actor with several films to his credit, Om Puri is one of the finest character actors in India. He is revered and respected in the film fraternity for his immense in contribution to mainstream and parallel cinema. Om Puri is sought after by directors because of the lifelike emotion he brings in his characters. He has been part of several British films and Hollywood ventures. He continues to amaze global film aficionados with his stellar performances. A prominent face in parallel cinema, Nasserudin Shah has an amazing repertoire of films to his credit. His portrayal of characters in Hindi movies has been flawless. Nasserudin Shah is an actor that has connected with the masses because of his life-like augmentation in films. His performance is the Hollywood movie “The League of Extraordinary Gentleman” where he plays the character Nemo was loved by movie enthusiasts and critics. This man is in a league of his own, and his glory days in Hollywood are yet to come. Another Bollywood actor known for the offbeat characters he plays is Anupam Kher. Loved by critics for his versatility, Anupam Kher has contributed immensely in parallel cinema and mainstream cinema. This character actor sets high standards, and it shows astoundingly well in his portrayal of various avatars. Anupam was noticed by international audiences in the British Comedy Drama “Bend It like Beckham”. More recently Anupam Kher was praised for his performance in the movie “Silver Linings Playbook” where he plays the character of Dr. Cliff Patel. Anil Kapoor is known for his infectious enthusiasm he brings during film shoots. He has worked in a number of mainstream Hindi films is known for his trademark dialogue delivery. He played a negative role in Danny Boyle’s “Slumdog Millionaire” He received rave reviews from critics for his performance as the diabolic game show host in the movie. Slumdog Millionaire opened new doors globally for Anil Kapoor. His cameo appearance in Mission Impossible- Ghost Protocol revealed his uncanny knack for situational comedy. In Bollywood It doesn’t get bigger than Amitabh Bachchan. By far the most popular actor in India, Amitabh Bachchan is an actor in mainstream Hindi cinema. This tall lanky actor is a worshiped by Hindi film buffs. His baritone voice and stylistic dialogue delivery have melted hearts. He is widely regarded as one of the most influential personalities in Hindi cinema. Amitabh Bachchan has a cult following in the west. He made his Hollywood debut in the movie The Great Gatsby.